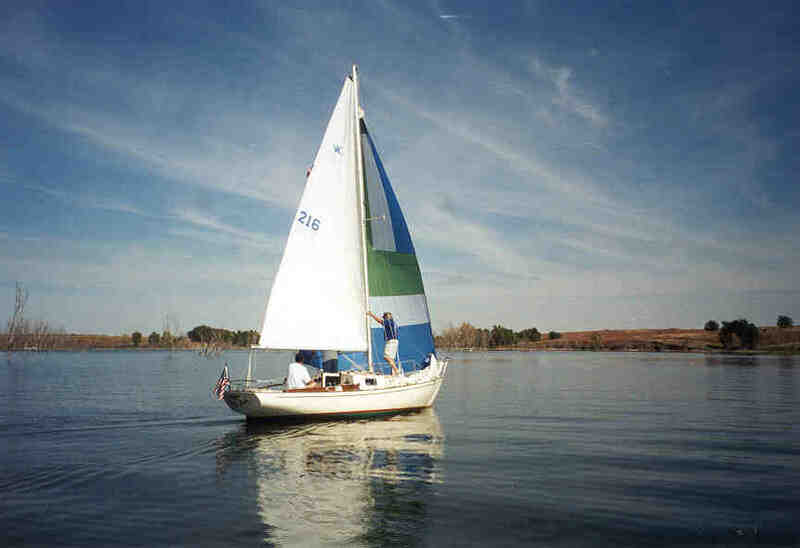 Here are a couple pictures of my brother's new old sailboat - a 1970 23' Kittiwake named Misty Lady. You can read all about the Kittiwake boats at the Kittiwake 23 Sailboat Registry Web Page. When he's not sailing my brother likes to hang out at Trailer Sailor.com. To see additional pictures visit Page 2, Page 3 and Page 4. 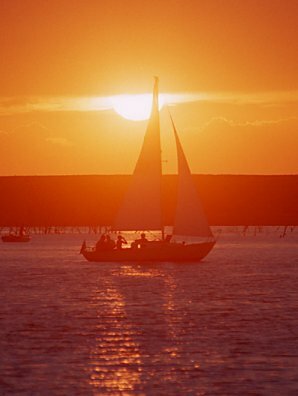 This picture (Fall 2000) was taken at Cedar Bluff Reservoir in western Kansas. This picture (Summer 2000) appeared in the Hays Daily News in Hays Kansas.